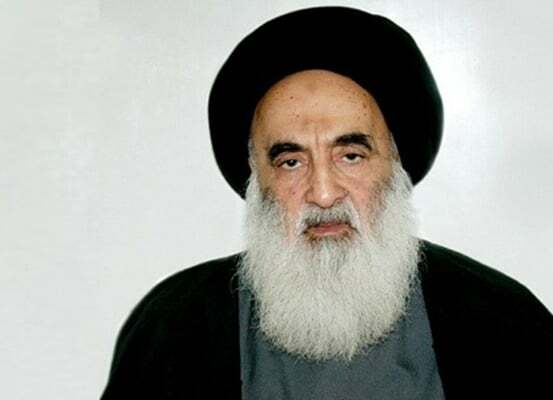 Iraq’s top cleric Grand Ayatollah Ali al-Sistani has urged the Shiite forces of Hashd al-Sha’abi to sacrifice their lives to protect Sunni families who are under relentless attacks by ISIS, an Iranian official says. Ayatollah Sistani was quoted as saying by Ayatollah Mohsen Araki, the Secretary General of the World Forum for Proximity of Islamic Schools of Thoughts. Ayatollah Araki, who recently met Ayatollah Sistani during his stay in the holy city of Karbala to take part in Arba’eeen pilgrimage, says the Iraqi top cleric has underlined the need to preserve unity between Shiites and Sunnis and added the latter have been deprived of security due to the relentless attacks by ISIS. “In one of the recent meetings of Grand Ayatollah with a crowd of Hashd al-Sha’abi, one member said we have peaceful coexistence with our Sunni brothers. In reply, Ayatollah Sistani underlined that they should never use the term Sunni brothers because we are from the same origin and there is no difference between us and them,” Ayatollah Araki said. According to Araki, Ayatollah Sistani also said he had urged Hashd al-Sha’abi to protect the Sunni families who are under ISIS attack under any condition. “The top Shiite cleric said enemies are seeking to create division between the Shiite and Sunni Muslims in Iraq and there are many who call on him to issue a verdict in this regard but he has declined to do so until today because he thinks it is not in the interest of Iraq to contribute to any conflict between the two sides,” said Ayatollah Araki. According to Sistani, when ISIS started attacking Sunni Muslims, most of them fled to the Shiite-populated regions and faced warm hospitality by their Shiite brothersand today, the Shiites are reaping the fruits of their deeds. Ayatollah Sistani said since the early days of Saddam regime’s overthrow, the US insisted on dividing Iraq into a number of regions but he vehemently rejected any such plans saying that Iraq must never be divided. “They said the Shiites will have the upper hand if Iraq is divided. They tried to tempt the Shiites into agreeing with Iraq’s division,” Ayatollah Sistani was quoted as saying. Ayatollah Sistani said he resisted against any plan to divide Iraq and said Iraq must remain united and the Iraqis should remain brothers with each other regardless of their schools of thoughts. “Of course Iran played a key role in creating peace and security in Iraq,” Ayatollah Sistani said, adding, during the Arba’een march, people from various races and beliefs stood hand in hand revealing the unity in the Islamic World. He finally prayed for the Iranian government and nation and expressed hope the issue of the unilateral sanctions on the country could be resolved soon and the Iranians could overcome their problems in the near future.